Lower back injuries are a common result of St. Louis car crashes. A lot of science is involved when it comes to evaluating the impact of car accidents on the occupant’s body. The most common cause of accident back injuries is whiplash, regardless of whether the injury is facetogenic or discogenic in nature. In a car accident, the sheer speed and force create such acceleration and deceleration that the body is not prepared for, especially when the vehicle comes to a sudden stop. This can cause injury that results in lower back and neck pain. Centralized pain or pain that radiates to one or both legs, buttocks, groin or feet. The lumbar spine consists of five vertebrae cushioned by soft discs. Each of these discs has a tough outer ring. When young these discs consists primarily of water, but as we age, the loose hydration and become prone to cracking and annular tears. This causes inflammation and pain. In order to diagnose a discogenic area, an MRI may be required. In some cases, the doctor may have to perform a discography as well. The most common treatment includes anti-inflammatory medication and physical therapy. Epidural corticosteroid injections are also effective. If conservative treatment does not work, surgery is likely the last option available. The facet joints are surrounded by a thin membrane that secretes a viscous fluid to lubricate the joint. The facet joints support the body weight and facilitate movement between the vertebrae. These joints work in combination with the intervertebral discs to enable the whole spine to move. If you have been involved in a car accident and, in addition to pain, you experience tingling and numbness from your lower back down to your leg, it may be a symptom of sciatica. Sciatica is often the result of nerve compression from a sudden blow at the time of the car accident. 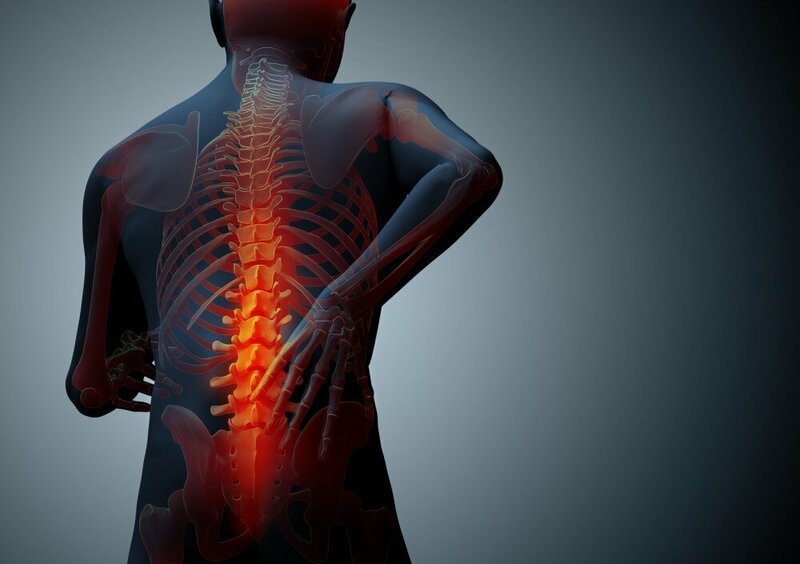 If your spinal disc is pressed against a spinal nerve, it can cause nerve root compression, resulting in inflammation and severe lower back pain. Severe pain in your lower back. As previously mentioned, this pain generally radiates from your lower back down the back of your legs. You may notice that the pain is more intense when walking or putting pressure on your leg. A tingling sensation in your legs or feet. If you experience these or other symptoms following a St. Louis car accident, seek medical attention as soon as possible. If you experience a lower back injury as a result of a St. Louis car crash, you may need to take time off from work to recover. In severe cases, long-term treatment and therapy may be required, leaving you unable to return to work for an extended period of time. Car accidents often create unfortunate physical and financial burdens. If you have been injured in an accident, you may be entitled to financial compensation for any injuries, lost wages, and on-going medical treatment that resulted. Speak with an experienced attorney today at The Hoffmann Law Firm to ensure that your legal right to compensation is protected. Call (314) 361-4242 to set up a free consultation.